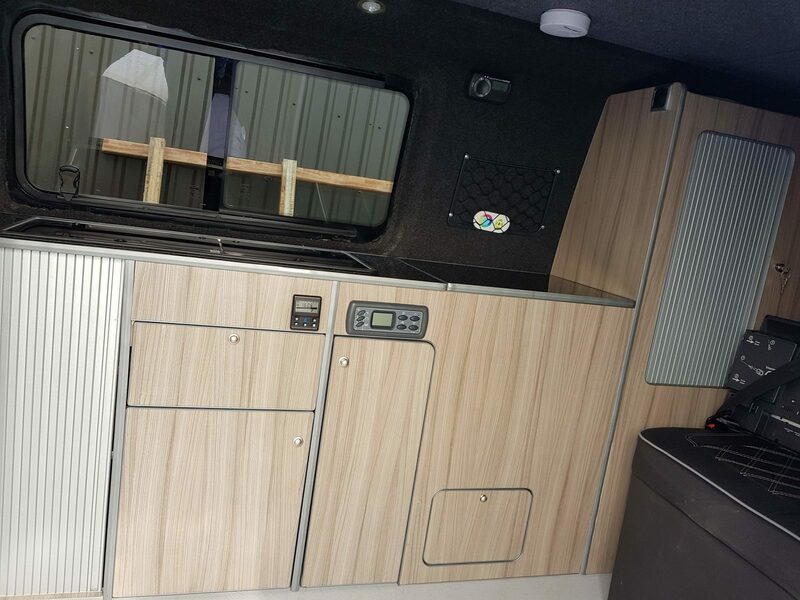 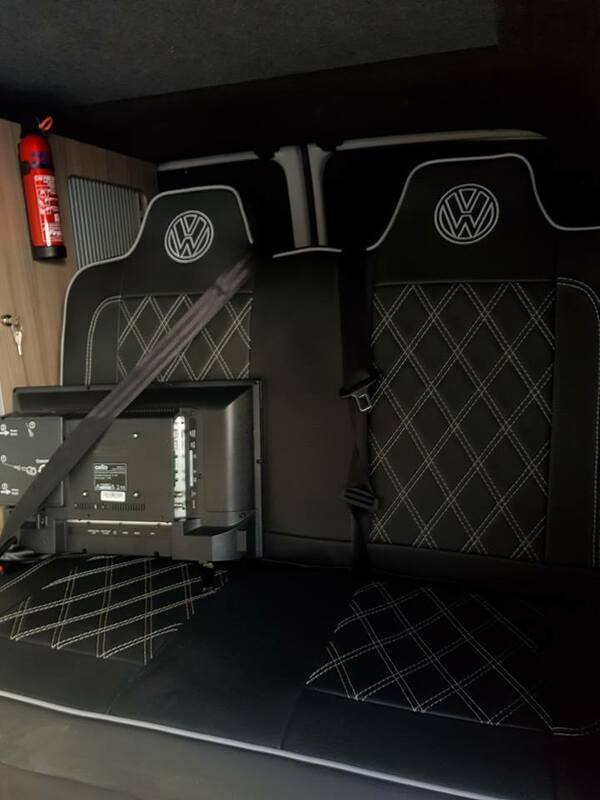 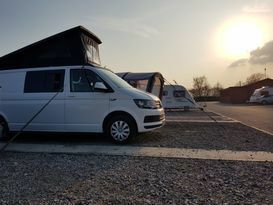 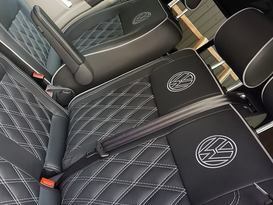 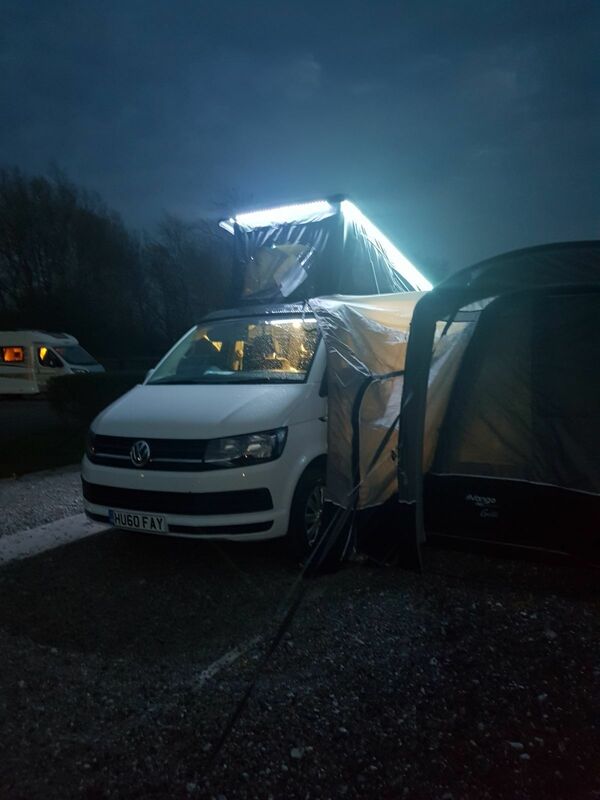 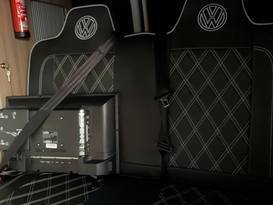 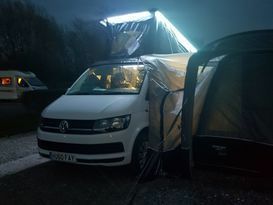 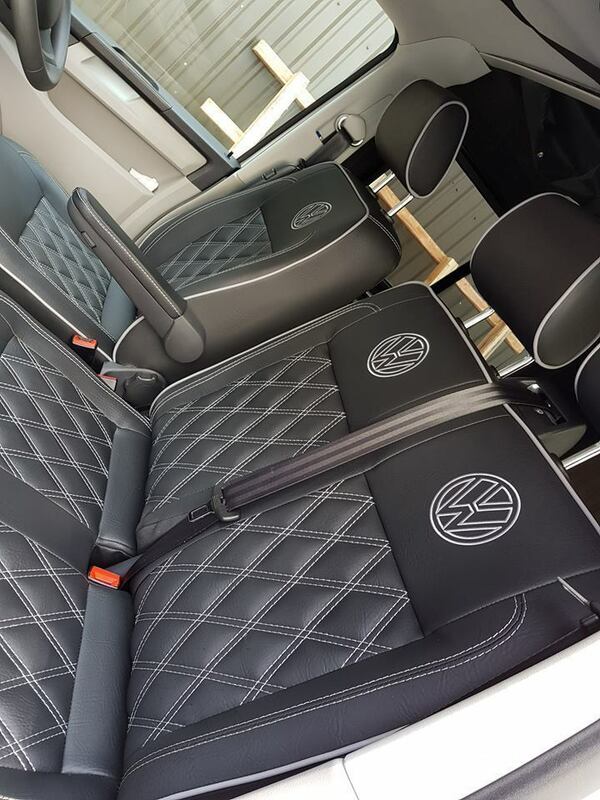 Daisy is brand new and recently converted VW T6 Camper Van. This truly excellent conversion has been done to the highest specification with luxury in mind, using the highest quality of products to make your next Adventure a truly remarkable and enjoyable experience. 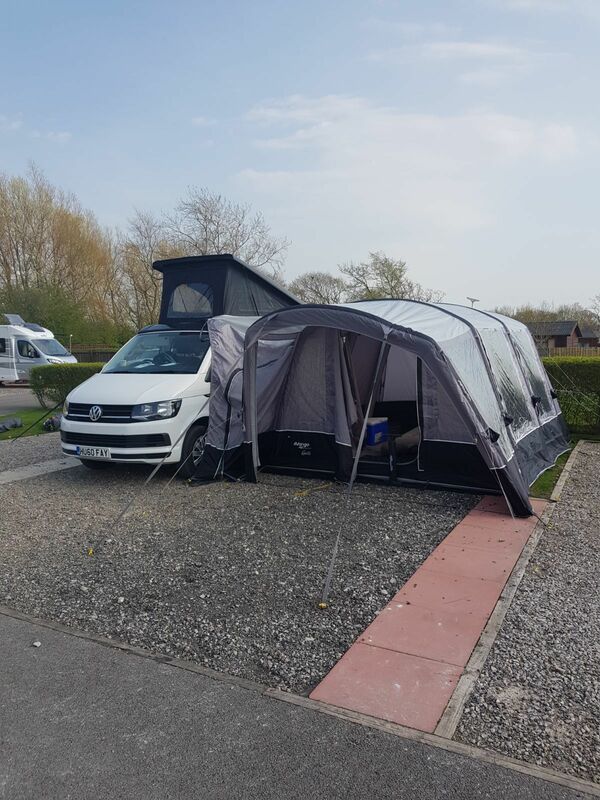 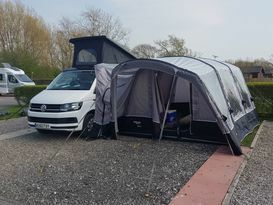 Daisy will seat 5 and comfortably will sleep 4, but you can sleep another 4 in our Vango Airbeam Tall awning should you have guests! Daisy comes complete with a lesiure battery and electrical facilites to charge your phone, light up the van and power the disco lights (read on), twin hob for cooking and boiling, water for cleaning and pouring filling the kettle, not to mention a huge chest fridge to store all your essentials ....well beer!